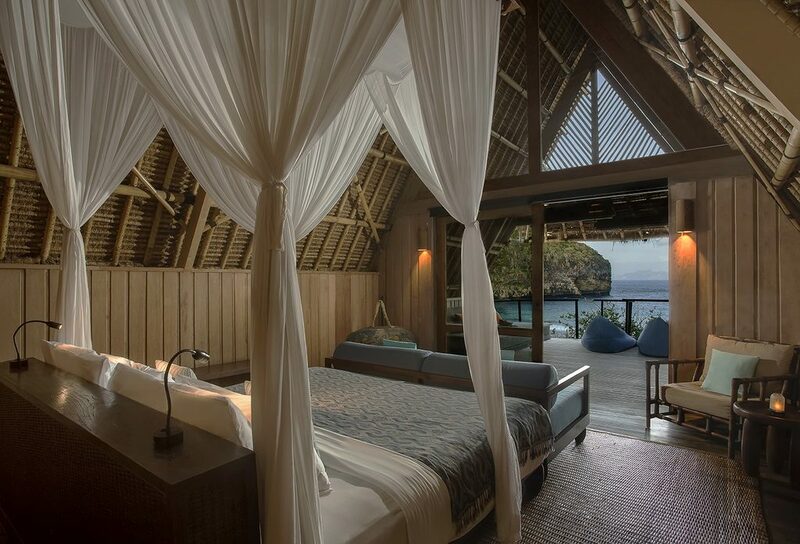 Experience a luxurious beach camp hotel unlike any other at Jeeva Beloam. 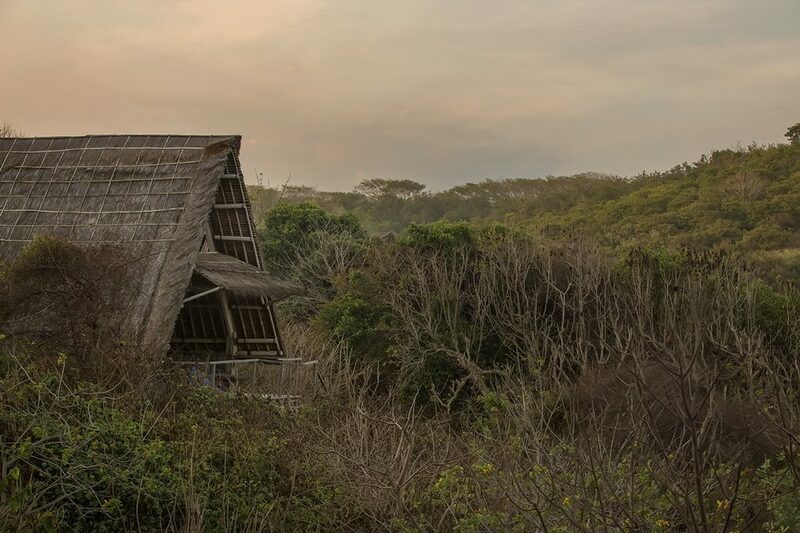 Our 11 “Beruga Pantai” lodges are inspired by and modeled after a traditional Sasak fishing camp, built using recycled wood and bamboo with alang alang roofs. Our accommodations take rustic chic to the next level. Don’t expect Wi-Fi or televisions – you won’t find that here. Instead, awaken each morning with the sun to enjoy breathtaking sunrises illuminating the cliffs in our private cove with a brilliant array of color and panoramic views over Beloam’s beach. See all the way to the Alas strait and the island of Sumbawa. Inside, experience a unique blend of rugged sensibility and the comforts of modern convenience, plus tranquil beauty, thanks to thoughtful touches from Indonesian hand-crafted furniture and décor. At 60 square meters, the berugas are large, boosting indoor-outdoor living with a king-sized, mosquito-netted bed indoors and a large covered terrace and daybed outside. 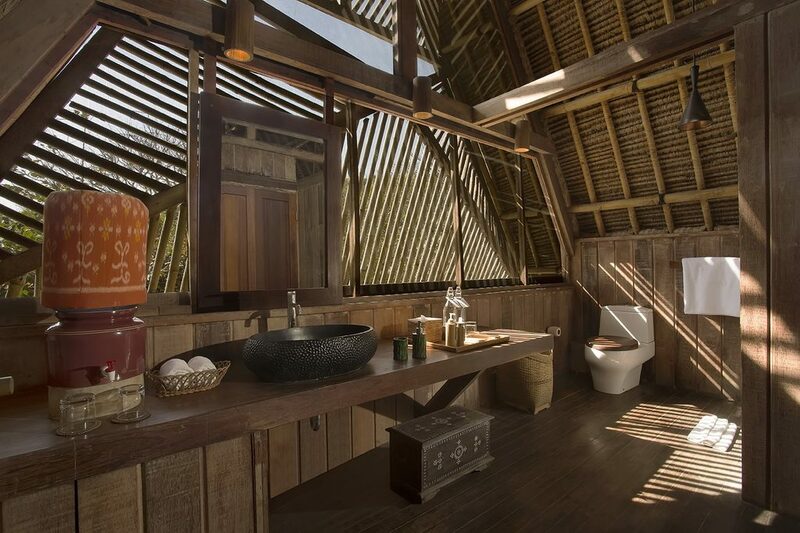 Bathrooms, while modern, open to the outdoors to let you experience nature at every turn. We offer three levels of beruga accommodation. Offers direct access to the beach with unfettered views over the beach and the Jeeva Beloam private cove to the Timur Sea and mountains of Sumbawa beyond. 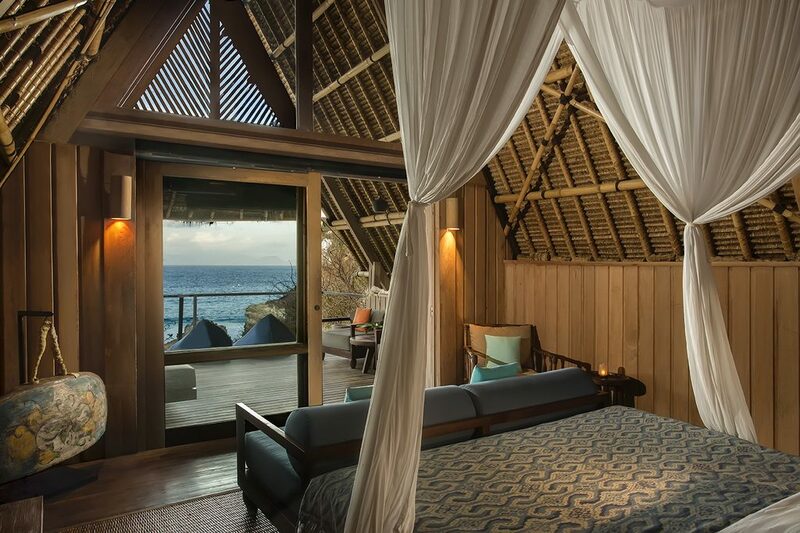 The air-conditioned berugas feature a large daybed on the covered terrace, a mosquito netted king-size bed with finest quality luxurious linens and a screened in open air bathroom. Boasts full unimpeded panoramic open views of the beach, Beloam cove, the Timur Sea and the mountains of the island of Sumbawa. The Deluxe berugas give you a front row seat to some of the most beautiful sunrises in the world. 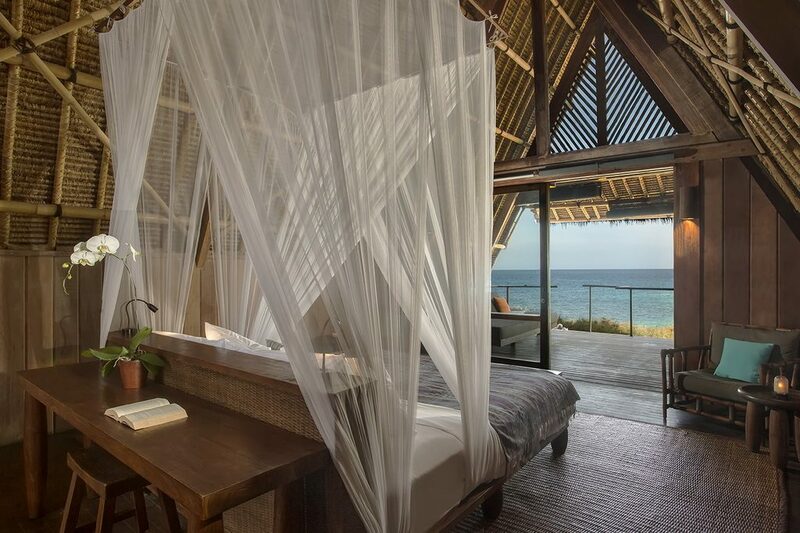 The air-conditioned berugas feature a large daybed on the covered terrace with direct views of the sea, a mosquito netted king-size bed with finest quality luxurious linens and a screened in open air bathroom.